Announcement White, dark wood, natural fabrics, colorful accents and chic vintage finds. Antique, vintage and designer home furnishings. White, dark wood, natural fabrics, colorful accents and chic vintage finds. Modern Ceramic Platter Tray Signed and Numbered. Vintage California Pottery. Large. Mid-century Modern Designer Home Decor. Handcrafted. Spice Rack and 5 Milk Glass Spice Jars. Vintage Wood wall spice shelf. Rustic Farmhouse Kitchen Decor. 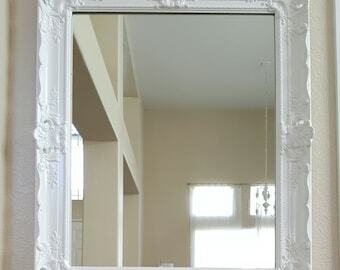 Antique Ornate White Framed Mirror. Solid Wood Frame. Chic Modern Wall Decor. Item as described. Great seller. Thank you! Reserved for Alice Murano Glass Covered Candy Dish. Silverplate Mirror Tray. Vintage Rose Pattern. 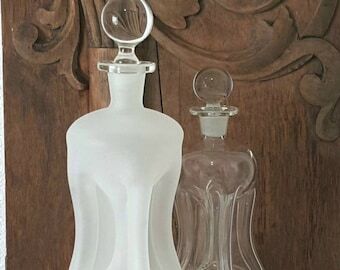 Silverplated Vintage Cordial Glasses S/6. Hand etched details. Vintage EPNS goblets. I just love the vibrant green texture in these mid-century modern glasses. The stems are reminiscent of the popular bubble lamp by George Kovacs. I am always looking for unique, chic, vintage home decor and the fact that someone painted this stand aqua makes it unique. Normally my instinct is to restore brass but I just couldnt do it to this one of a kind piece. 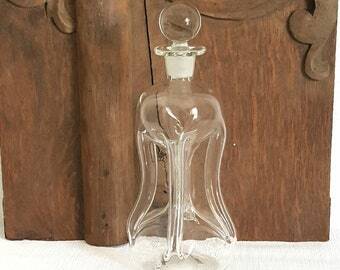 Vintage GLASS Gazing Crystal ORB BAll on Stand. Aqua Brass Foo Dragon / Seahorse Stand. Glass Crystal Ball. Gazing Ball on Aqua Metal Stand. New arrivals! These vintage, amethyst colored kitchen canisters are the perfect way to add color to your kitchen decor and keep your favorite ingredients handy! White, dark wood, big art, chic vintage finds, natural fabrics and colorful accents. Chic Home © 2018 all rights reserved. Our store is hosted on Etsy. They provide us with the online e-commerce platform that allows us to sell our products and services to you. Your data is stored through Etsy's data storage, databases and the general Etsy application. They store your data on a secure server behind a firewall. If you choose a direct payment gateway to complete your purchase, then Etsy stores your credit card data. It is encrypted through the Payment Card Industry Data Security Standard (PCI-DSS). Your purchase transaction data is stored only as long as is necessary to complete your purchase transaction. After that is complete, your purchase transaction information is deleted. However, certain third-party service providers, such as payment gateways and other payment transaction processors, have their own privacy policies in respect to the information we are required to provide to them for your purchase-related transactions. For these providers, we recommend that you read their privacy policies, so you can understand the manner in which your personal information will be handled by these providers. In particular, remember that certain providers may be located in or have facilities that are located a different jurisdiction than either you or us. So, if you elect to proceed with a transaction that involves the services of a third-party service provider, then your information may become subject to the laws of the jurisdiction(s) in which that service provider or its facilities are located. As an example, if you are located in Canada and your transaction is processed by a payment gateway located in the United States, then your personal information used in completing that transaction may be subject to disclosure under United States legislation, including the Patriot Act. We are not responsible for the privacy practices of other sites and encourage you to read their privacy statements. Please review Etsy's policies and privacy statement.